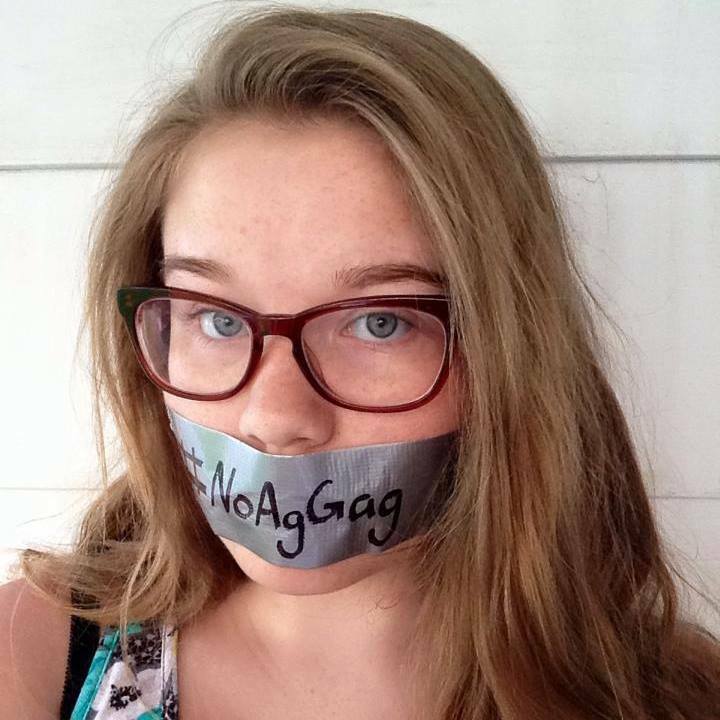 Sixteen-year-old Claire Tamburello from Michigan has been advocating for animals since she went vegetarian at age 11. She has organized protests against the circus, rallied at the State Capitol to oppose the hunting of wolves, regularly volunteers with a local animal shelter, and recently organized a cleanup of a local park. Ana Little-Sana, from San Diego, has done more to make a difference in her 15 years than most people do in their whole lives. Ana was recently recognized as a Rising Star by the San Diego Leadership Alliance and has worked on a wide variety of social justice issues. From speaking at a press event for Climate Action Campaign about the impact of climate change on young people, to lobbying against police brutality at the State Capitol with the NAACP, rallying for women’s access to Planned Parenthood, advocating outside of Wal-Mart to push for a minimum wage increase for workers, leafleting for the ACLU, attending fur protests, organizing demonstrations against Sea World, being vegan, and so much more, the impact this young changemaker is having across so many important issues is truly stunning. 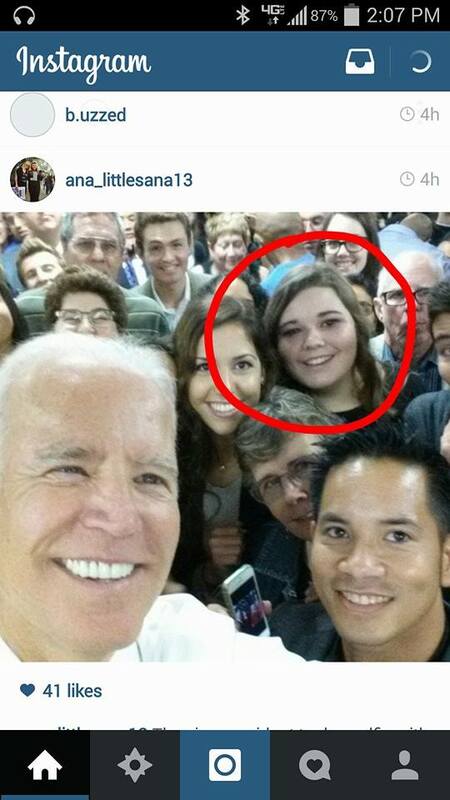 Ana was also an extremely dedicated intern on Congressman Scott Peters’ successful re-election campaign, and her efforts impressed Vice President Joe Biden so much that he took a selfie with her. Fifteen-year-old Joyce Frink from New Jersey has done a huge variety of things to make a difference in issues at her school, her community, and even globally. Joyce was chosen by her teachers to be a peer mediator and in that role organized a school-wide assembly and presented in several classes to address bullying and create a safer school environment. She also initiated “Mix It Up” Day at her school, where students sit with different people in the cafeteria than they usually do, and organized a successful food and clothing drive. 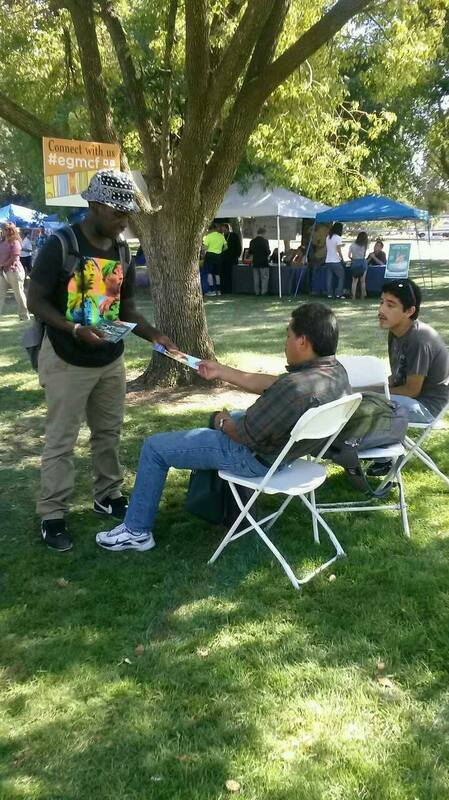 Kakari Boateng is a social justice advocate in Sacramento who uses art, music, and other forms of creativity to spread his message of fairness and sustainability. He has passed out leaflets about vegetarian eating, raps about issues he cares about, and most recently created a petition on Change.org to try to change the School Board’s decision to implement a new dress code at his school. The petition has garnered over 700 signatures in less than a week. In the petition, Kakari points out that a new dress code “will mean buying new clothes that some families may not be able to afford.” He also points out that the school board did not consult the students or accept any student input in this decision and tells us that the petition is about “more than the dress code. The school board doesn’t take us seriously when we try to advocate for change” and this is one effort to do that. You can sign here. 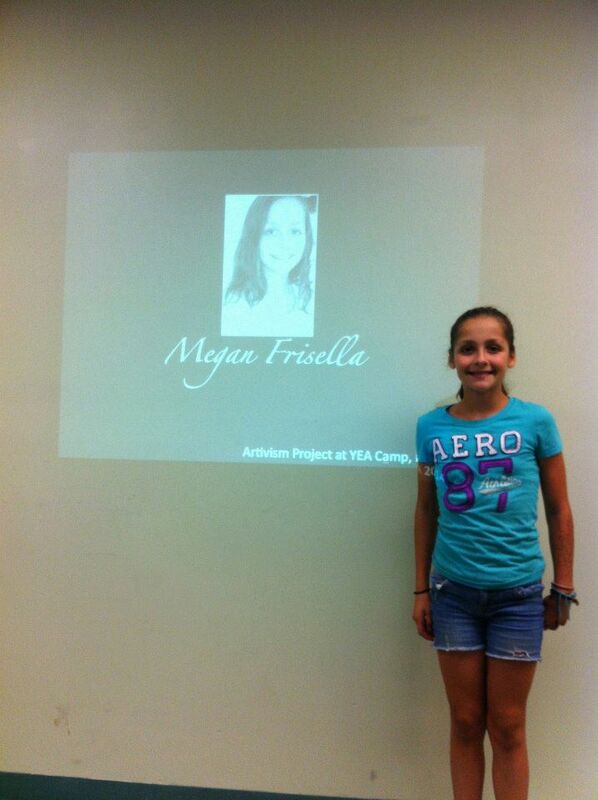 Thirteen-year-old Megan Frisella of Massachusetts told us the story of a trip she took into Boston her birthday. 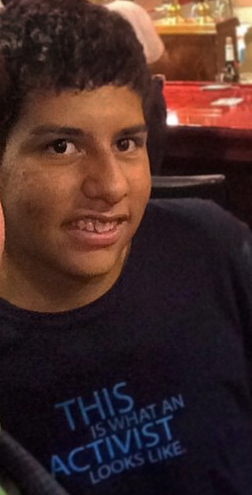 “I saw an old man walking around, begging for money, so I gave it to him. This happened four or five more times, and I realized this tragic problem. I was nearly crying from the sadness of seeing so many people just out there, living in the streets with no one caring about them.” So this school year she started a school club, Helping Hands for the Homeless. As a fundraiser, she and the other club members created and sold calendars, raising over $2000 net. Rather than give the money directly to a shelter, the club created 80 care packages that “will let homeless people know they are cared for and to hope for a brighter future.” Megan was thrilled that the club’s success attracted the attention of a neighboring school, which is starting a similar club. Roberto Warren, 18 from North Carolina, looks for every opportunity to speak up for the social justice causes he believes in. Whether he’s posting political articles on social media, using school projects to research and educate classmates on issues like voting rights and racism, making politically motivated art, or attending protests, his voice is so needed in the conservative area where he lives. Do these teens’ stories sound a little different than the stereotype of the apathetic teenager? There are plenty of young people out there who want to make a difference on the issues above and so many others, and plenty more teens who get inspired to make a difference when they see that people their age are taking action. There are also lots of teens who might get involved if only they had an experience that boosted their self esteem, showed them ways others are making a difference, and welcomed them into a community of like-minded, supportive changemakers. YEA Camp is a summer camp for social change designed for 12-17 year-olds who care about social justice, human rights, animals, or the environment. With sessions in California, Oregon, and New York, motivated teens come to YEA Camp from all over the country to get skills training, like starting a school club and planning a campaign. They come to YEA Camp to develop their confidence to speak up about what they care about and communicate more effectively. They come to YEA Camp to learn more about the issues facing our world and to meet like-minded changemakers who are working to make a difference. At camp they choose an issue they want to focus on and create an action plan to make a difference when they go home. So many go on to do inspiring things that they credit to YEA Camp. You can learn more about YEA Camp and what campers say about it here. There are so many more young people like this making a difference on an issue of importance to them. Inspired? What issue do you care about? We’ve got some Resources to help you get started or take your change-making to the next level. Know a young activist or changemaker-to-be? Or does that sound like YOU? YEA Camp is just around the corner, and we have some limited spots still available. Our California camp is July 12-19. Our Oregon camp is July 25-August 1. Our New York camp is August 9-16. 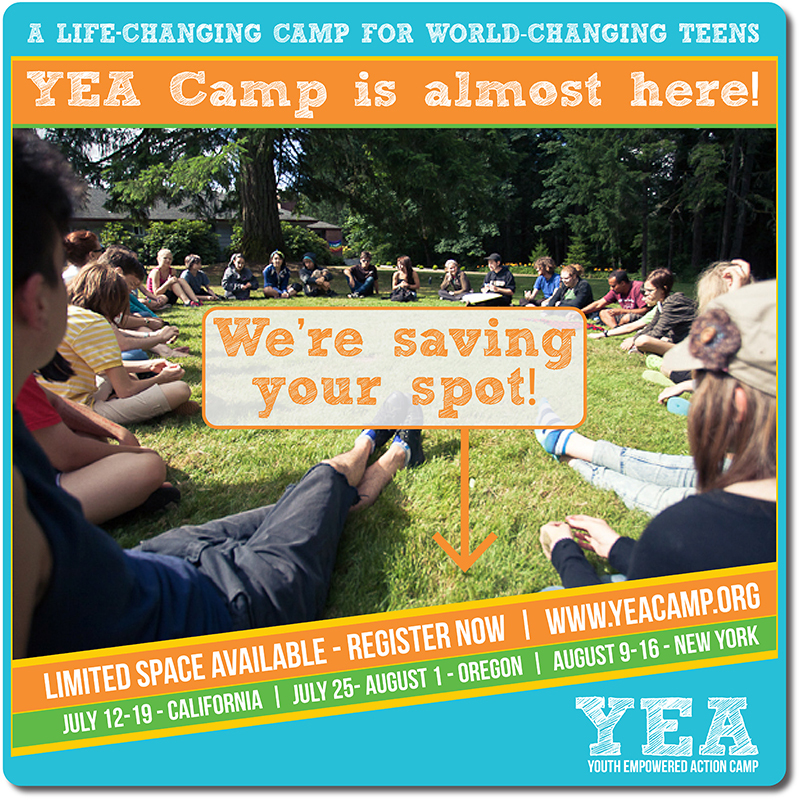 Get all the details and register at YEACamp.org.